For most part of human history, change was glacial in pace. It was quite safe to assume that the world at the time of your death would look pretty much similar to the one at the time of your birth. That is no longer the case, and the pace of change seems to be growing exponentially. Futurist Ray Kurzweil put it succinctly when he wrote in 2001: "We wont experience 100 years of progress in the 21st century - it will be more like 20,000 years of progress (at todays rate)." Since the time of his writing a lot has changed, especially with the advent of the internet. India has done well to stay ahead of the curve in the technological revolution. The country's hyper-competitive telecom sector has led the revolution from the front. 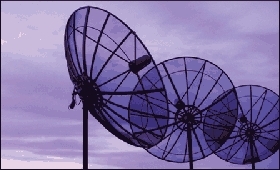 In fact, according to Reserve Bank of India data, the sectoral change in productivity has been the highest in the telecommunications sector since the reforms of 1991, growing by over 10 percent. On the other hand, no other sector has had a productivity growth of above five percent during the same period. It is no wonder that it has also been one of the fastest-growing sectors of the Indian economy, growing at over seven percent in the last decade itself. Even though consumers have come to be accustomed to fast-paced changes within the telecom sector, the entry of Jio altered the face of the industry like never before by changing the very basis of competition. Data became the focal point of competition for an industry that derived over 75 percent of its revenue from voice. It was quite obvious that there would be immediate economic effects due to it. Now that we're nearing a year of Jio's paid operations, during which time it has even become profitable, we saw it fit to quantify its socio-economic impact on the country.Three broad takeaways need to be highlighted. An econometric analysis for the Indian economy showed that the 15 percent increase in internet penetration due to Jio and the spill-over effects it creates will raise the per capita levels of the country's GDP by 5.85 percent, provided all else remains constant.